Usually we think that brave people have no fear. The truth is that they are intimate with fear. A series of five videos, Meditations #1-5 is a twisted re-imagining of self-help guided visualisations, albeit with a slightly more sinister bent. The work is inspired by the wrathful deities of Buddhism and plays on western society’s increasing obsession with fear. 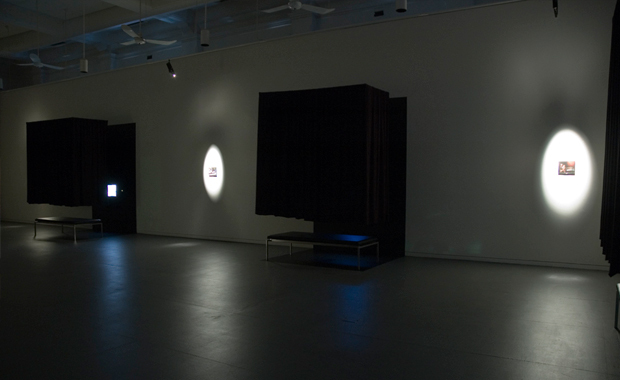 While visualisations of this kind usually lead the viewer into the light, Meditations #1-5 welcomes us into a darker realm of self-doubt, anxiety, paranoia, angst and panic attacks. 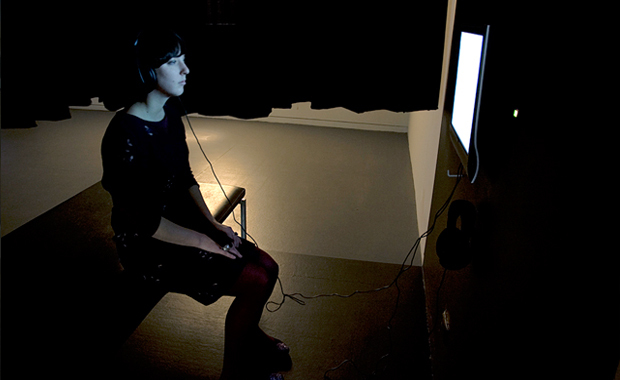 Shrouded in darkness and wearing headphones, the viewer actively chooses to start the video by pressing a green switch. The stylized, single-cut, fixed camera view shows a main character in their environment. This is combined with a hypnotic voiceover and a dark, contemplative score by composer David Parsons. 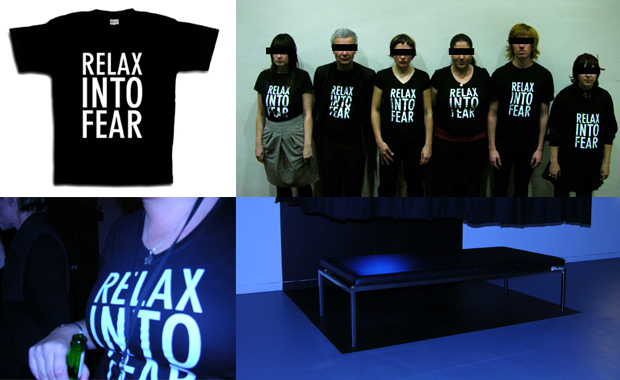 The viewer is then lulled through a series of relaxation techniques to end up in a worst case scenario. It remains ambiguous whether the narrations stem from the character’s internal voice or speak to them. This is anti-relaxation for tough times. 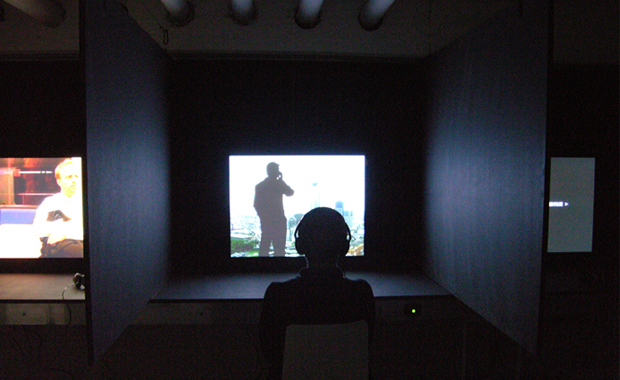 The Partouche Award for Experimental Short Film to Meditations #1 as part of the Second Biennial of Contemporary Art in Le Havre, France on June 21, 2008. It’s enough to put me off yoga for a month. 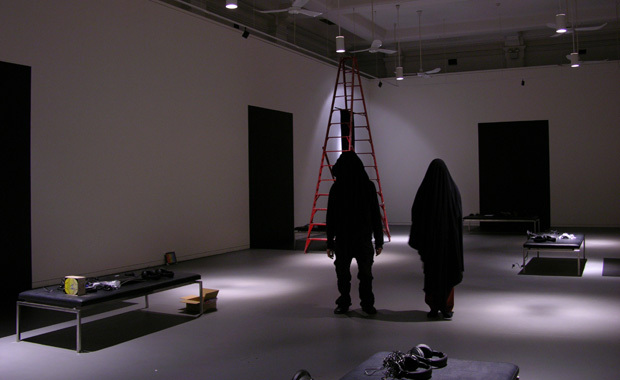 With a penchant towards black humour, this artist duo investigates the human condition in western society. BORIS + NATASCHA share a fascination with language and the discrepancy of diverse perspectives, which might have come straight from a Chandler novel.